Butler Parachute Systems has the capability to test parachutes and recovery systems from sub-munitions size up to approximately 4,000 lb. at speeds up to 850 knots. We have established working relationships with several companies that provide aircraft support for various test program requirements. Available aircraft include Cessna 182, CASA 212, DeHavilland DHC-6 Twin Otter, Beech King Air B90, Lockheed T33, SAAB Draken, AerMacchi 326, F-4 Phantom II, and others. We normally use the drop zone facilities of various existing parachute centers, but on occasion make arrangements for other areas. 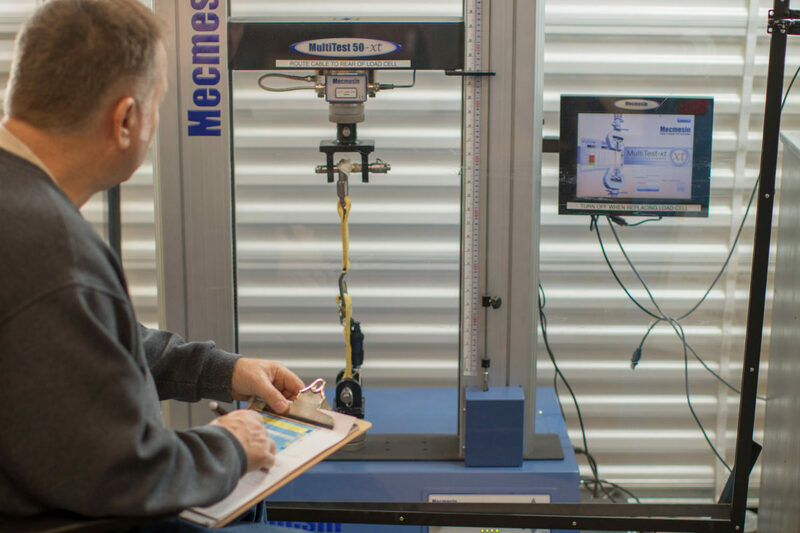 We maintain an inventory of drop test devices such as bomb casings, cylindrical test vehicles, drop test dummies and various other test vehicles. We can also manufacture test vehicles as required for a particular test program as we have substantial in-house metal working capabilities for the manufacture and assembly of drop test vehicles. In addition, we have established close working relationships with several machine shops and other metal and composite shops that we can call on if needed. Still and video coverage is available from the ground, chase aircraft (if required) and onboard the test vehicle. We have designed and built (in-house) a data collection system with the capability of collecting up to 11 channels of data for riser loads, accelerations, static and dynamic pressure, etc. We occasionally drop test items from high altitudes and allow them to freefall before beginning the recovery process using timers or altitude sensors. In order to do this from unpressurized aircraft, we maintain oxygen equipment for aircrew and jumpmaster use for high-altitude drops (above 15,000 feet MSL). We also have qualified personnel available for flight crew. Have questions about our test services?